Best graphics, highest quality construction, and largest size. Detailed floor puzzles are made of heavy duty cardboard that's 20% thicker than other puzzles. 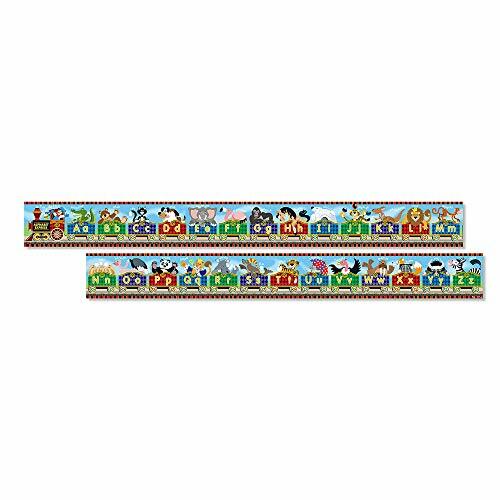 BEAUTIFUL ALPHABET EXPRESS PUZZLE: The Melissa & Doug Alphabet Express Jumbo Jigsaw Floor Puzzle includes 27 extra-thick cardboard pieces that are easy for children to put together. The finished puzzle displays beautiful original artwork. EASY TO CLEAN: This alphabet express jumbo jigsaw floor puzzle features an easy-to-clean surface that keeps your puzzle looking new, making cleanup simple after accidental spills. 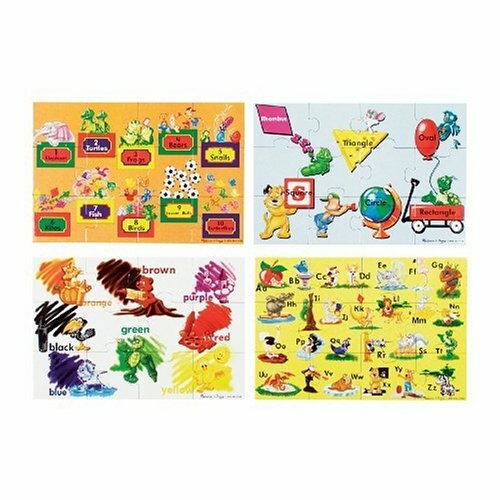 PROMOTES HAND-EYE COORDINATION: Our kids alphabet express puzzle is designed to help children develop strong problem-solving skills, assisting them in the development of hand-eye coordination. 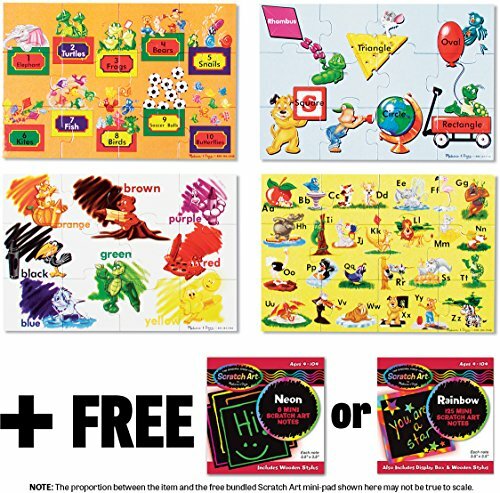 GREAT GIFT FOR KIDS 3 TO 6: Alphabet Express Jumbo Jigsaw Floor Puzzle makes an ideal gift for kids ages 3 to 6 years. Add the Melissa & Doug Farm Cube Puzzle set to round out the puzzle play experience and give kids another engaging option for screen-free fun. 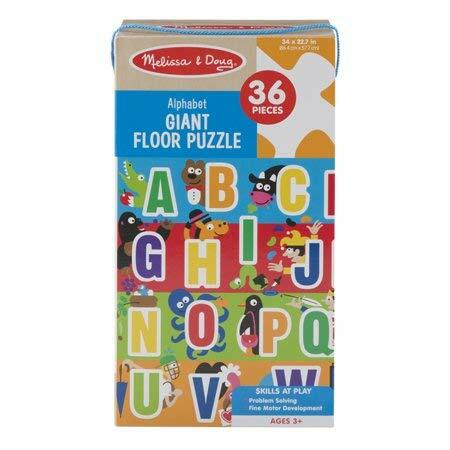 EDUCATIONAL ALPHABET LETTER PUZZLE: The Melissa & Doug Self-Correcting Alphabet Letter Puzzle set includes 52 durable wooden pieces that help kids learn the ABCs as they match letters to pictures. SELF-CORRECTING PUZZLE: "Self-correcting" means each piece has only one match that it fits, so kids can develop a sense of mastery. 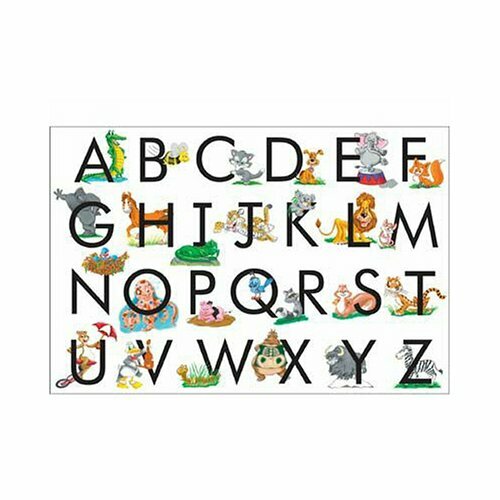 This alphabet wooden puzzle features both capital and lowercase letters and labeled images. 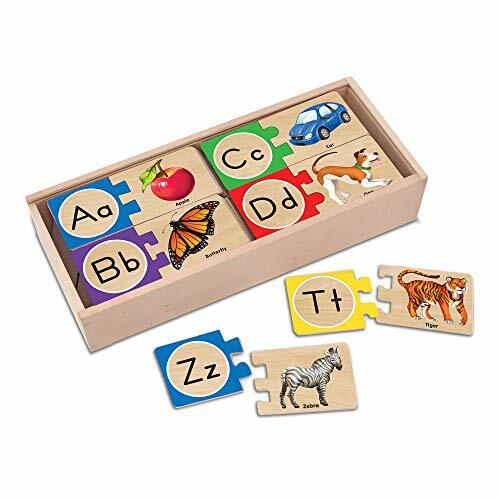 SOLID WOODEN STORAGE BOX: Melissa & Doug ABC picture board pieces can be used on their own for countless letter games and activities and fit neatly in the sturdy wooden box. 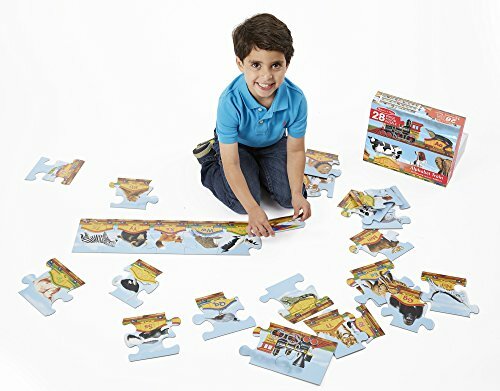 GIFT FOR KIDS 4 TO 6: This puzzle is an exceptional gift for kids ages 4 to 6 years. Add the Melissa & Doug See and Spell Learning Toy to round out the hands-on play experience and give kids an engaging option for screen-free fun. Four puzzle set that illustrate numbers, shapes, colors and the alphabet. Each floor puzzle has 12 educational, colorful cardboard floor puzzle pieces. Help kids learn the ABCs, numbers 1-10, colors and shapes. For age 3+.